Situated on New South Wales’ South Coast, Batemans Bay is a charming coastal town nestled around the expansive bay of the same name. Stay in our Batemans Bay accommodation and relax on the beaches, in the parks, or out on the water, there are plenty of ways to unwind. 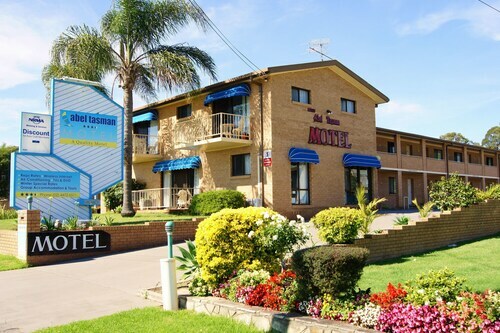 See our selection of Long Beach accommodation for a beachside holiday. 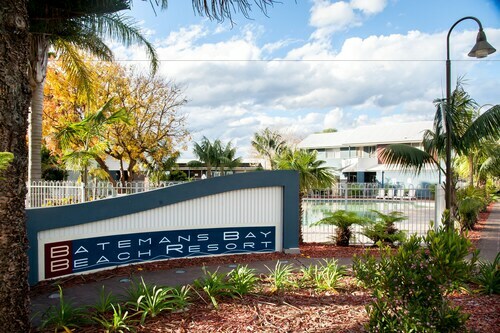 Beautiful beaches and dense National Park surround the Bay giving you a number of options when looking for something to during your stay in one of our Batemans Bay hotels. If its sun and surf you are after head to Surf, Denham, or South Durras Beach and hit the waves. If it’s calmer water you would prefer, the Batemans Bay coastline has got you covered as well. The sheltered waters of Broulee North, Sunshine Cove and Lilli Pilli Beaches are perfect for a day relaxing on the waterfront, and great for the younger members of the family. There are also a number of River beaches that can be easily accessed from your Batemans Bay hotel, as the Clyde River Estuary stretches inland from the Bay. Away from the water you will still find lots to do while staying in a hotel in Batemans Bay. The National Parks in the area provide excellent walking trails for a relaxed bush walk or an intense hike for the fitter holiday-seekers. Visit the Mogo Zoo or the Birdland Animal Park from your Batemans Bay accommodation and experience some amazing animals up close. How Much is a Hotel Room in Batemans Bay? Hotels in Batemans Bay start at AU$80 per night. Prices and availability subject to change. Additional terms may apply. Cabin very close to beach but old and tired. Bedding old and soft. Previous burn mark on carpet, damaged walls, tiny shower, inadequate curtains in main bedroom did not block any light in the mornings. Carport provided and ample space for parking. TV good but needed a lighter to turn on gas stove and oven did not work. Overall kitchen, lounge and dining room large. Previously stayed at resort in better cabins. Only 2 visible barbeques for entire park. Loved the location of our cabin, it was quiet and tucked away and a quick walk through to the beach via a bush path. Cabin was super clean and we lived a huge spa bath too!